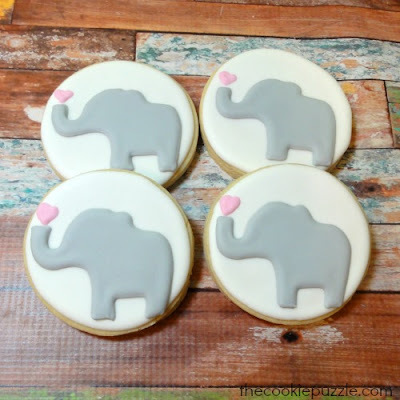 I had a request for elephant cookies for a baby shower...so...I made elephant cookies. The customer wanted grey elephants with a pink heart above the trunk. 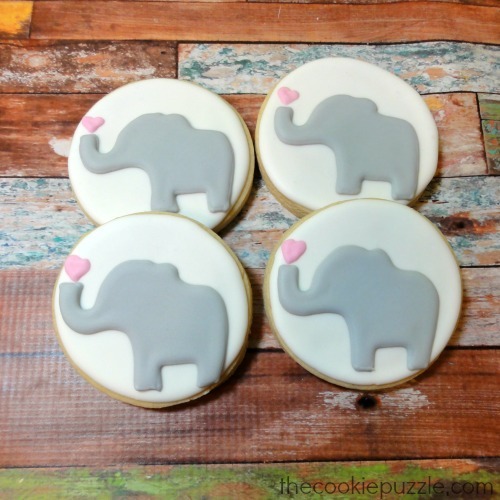 After talking a bit, we decided to go with a round cookies and the elephant on that. Loving how they turned out! 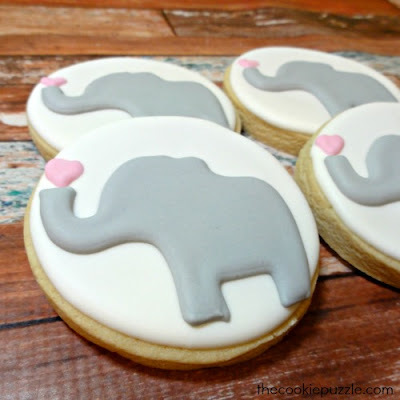 Confession time...I have never made elephant cookies before! More confession time...I have four elephant cookie cutters! I made elephant cookies and did not use any of those four cutters! I was able to mimic the elephant shape from the shower invitations, and free-handed the heart. So simple, yet so cute! It has been so long since I had a baby, or went to a baby shower, purchased anything for a baby, that I had no idea that elephants were a "thing" and so popular...I guess I should get out more, huh? Any way....I was happy with them...and the customer was happy with them...so it was a happy day! Those are precious! You did a wonderful job. OH my gosh...I LOVE these! So cute! These are adorable! Never made them before? You did an awesome job! These are super cute! You truly have quite a talent! 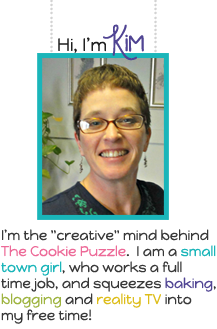 Thanks for sharing on Snickerdoodle Sunday! Those are stinking adorable! Can I have one?! Haha!! Thanks for linking up with us at the Motivational Monday party - I hope you'll stop by again this week! Thanks Kim for hosting this great party! Pinned and shared! Hope to see you at the Say G'day Party on Saturday!